The violence and the turmoil may have subsided, but the issue remains sensitive, making millions of Bengali speakers in Assam vulnerable. Political parties everywhere work assiduously to establish votebanks that use a cocktail of ideas and appeals to bind the groups together on the one hand and get them to the polling station on the other. One way it has worked is for family, caste and sub-castes to create a network of allegiances based on rewards and exclusions; the other is to use religion as a bank for collecting votes. For a very long time, the analysis of votes had simplified the process by identifying Muslims as a votebank — by the Congress, by the Left parties and then further defined and refined upon it by describing the leader of the Samajwadi Party as Mullah Mulayam, and then examining the coalition of caste and religion stitched together by the Bahujan Samaj Party in Uttar Pradesh. All this while, there was a discourse on the minority as a votebank. The Hindu votebank was in many ways always there; but it has turned out to be more aggressive and arrogant than ever before, fostered by the politics of Hindutva and the Sangh Parivar. As a way of consolidation it offered a choice, however debatable, to the voter as a way of plugging into an alternative network of rewards and loyalties. But the Hindu votebank is more problematic than that; it has moved forward in the direction of delegitimising people; settlers who do not belong to the majority ethnic or linguistic community in a specific part of the country. The “D” Voter of Assam is the new alien; as a person whose name does not appear on the National Register of Citizens that has been put together, corrected, revised and further revised, these 40 lakh people living in Assam are in a state of suspense. The Supreme Court has asked for a revision and the politics around this has grown heated. The combination of uncertainty and illegitimacy has notched up the underlying tensions in a state where the politics of identity has dominated the scene since the tail end of the 1970s, with the rise of the Asom Gana Parishad. The violence and the turmoil may have subsided, but the issue remains sensitive, making millions of Bengali speakers in Assam vulnerable. In its race to capture every state that has a non-Bharatiya Janata Party government currently in power, the Sangh Parivar has expanded the terrain over which the politics of legitimate citizens and illegitimate migrants from across the border has been punched with the intensely emotive issue of religious identity and “minority votebanks” that have been established and appeased by the non-BJP parties over the years. By announcing that the NRC rules would be deployed in West Bengal to separate the Hindus from the illegal Muslim migrants from Bangladesh, described by BJP president Amit Shah as “termites,” the BJP challenged the Trinamul Congress to a contest. In doing so, it opened up Assam as an area for the Trinamul Congress to position itself as a defender of Bengalis and against divisive politics. The emerging politics of 2019’s general election, therefore, has Mamata Banerjee locked in a contest against Narendra Modi, with the BJP as the challenger in West Bengal; it has Mamata Banerjee as a defender of a significant but small group of voters in Assam; it has the Trinamul Congress as a player in Tripura’s politics. 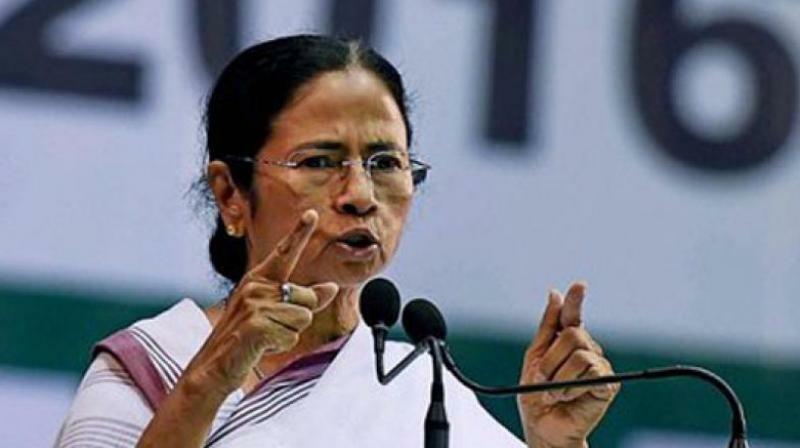 All of which adds up to establishing Mamata Banerjee as a political foe of significance in the under-construction alliance of regional parties, also sometimes described as the Federal Front. Volatile ingredients combined in a cocktail that aims to divide by alienation as well as unite through a common minimum based on religion or ethnic and linguistic identity has exploded in a deliberate and well-planned execution of five Bengalis, all Hindus, in Assam’s Tinsukia district on November 1. While the BJP government in Assam has arrested two senior “pro-talk” United Liberation Front of Asom leaders — Jiten Das and Mrinal Hazarika — it is not clear why this has been done. The killings were a message that is difficult to decipher. If the purpose of the killings, done by men in Army fatigues, was to warn the Bengalis that they were unwelcome, it is a message that did not need such a demonstration of violence. Fear has been an undercurrent in Assam’s turbulent politics for a long time; so has the simmering uncertainty of communities that swing between claiming that all is well and contradicting themselves by articulating a sense of uneasiness and mistrust. The mobilisation of Hindu sentiment on which the NRC exercise is posited, in political terms, as much in Assam as in West Bengal, did not require these killings. It was axiomatic that the Trinamul Congress would jump into the situation, given its earlier dash to Silchar, when the Assam government used Section 144 CrPC to prevent the parliamentarians from leaving the airport. The visit by four Members of Parliament to Tinsukia to assess the situation and assure the Bengali community of support was not stopped. The effect of the killings was a mobilisation of the near about 60 “Bengali” organisations, including the All Assam Bengali Youth Federation. Why the already complex politics of Assam needs to be linked to West Bengal’s relatively straightforward political contest between the Trinamul Congress and the BJP as the emerging challenger is a question that has as yet no clear answer. The effect, however, is that Mamata Banerjee’s voice as a secular leader has become louder — her statements about gender discrimination at religious sites, and divisions based on religious identity have grown sharper. By separating faith from visible marks of religion, Mamata Banerjee is working out a formula that could outflank the BJP’s game of division and Hindu votebanks. The problem is that the sentimentally stirred Hindu voter has to make a choice based on a nuanced judgment of what is politics in the public domain, and what is faith, which is a matter of the private domain.